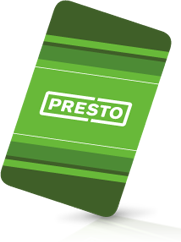 OC Transpo, Canada is planning a new smart card system to roll out this year that will help reduce lost revenues due to malfunctions with the transit’s electronic fare boxes, according to CBC News. The union representing OC Transpo drivers has been continually warning managers for years that the company is losing revenue because of jammed electronic fare boxes. “When we have a defective fare box we’re told to carry on, not to collect the fare. So we’re losing a lot of revenues,” said Michel Fecteau, who has been driving OC Transpo buses for more than 30 years. The electronic fare boxes broke down 1,100 times last year – an average of three malfunctions per day – and OC Transpo does not keep track of lost revenues due to the malfunctions. “Only 22% of riders pay with cash or tickets and not every fare box breakdown means fares aren’t collected,” said Diane Deans, chair of the city’s transit commission.